This watch can memorize two separate time-zone settings. 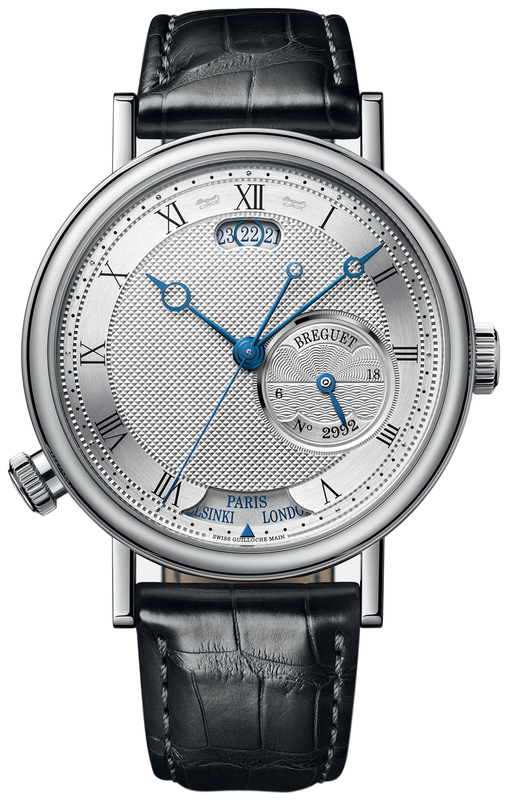 Once the watch has been correctly set to the two desired time-zones, one can instantly toggle between the two time-zones by pressing the button at the 8 o'clock position, in what Breguet calls the "INSTANT-JUMP". Ingeniously the watch not only memorizes the different time-zones, it also memorizes the AM/PM & the date correctly adjusting these complications as well according to the desired time-zone. In essence this watch "memorizes" both time-zones & its associated settings. 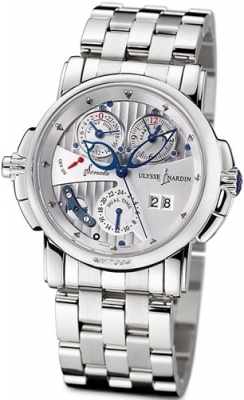 Silver dial with guilloche pattern center & flat silvered perimeter. Fine printed Roman Numeral hour markers. Black dot minute markings with applied 18kt rose gold dots at every 5 minute interval. 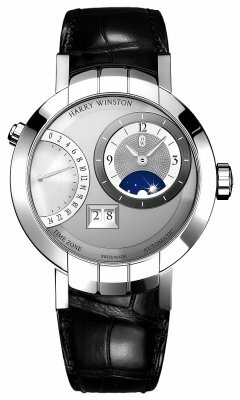 Day/night sub-dial with different guilloche texture for night & day. Instant-Jump toggle button located on the case edge at the 8 o'clock position. City indicator window located at the 6 o'clock position. 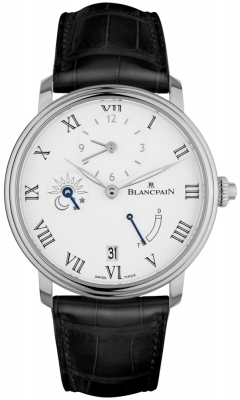 Day/Night sub-dial located between the 3 & 4 o'clock position. 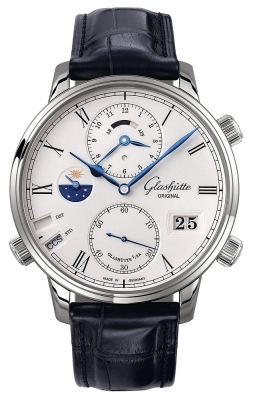 Elongated date window located at the 12 o'clock position with a blued steel circle highlighting the current date. Breguet Caliber 77f0, beats at 28,800 vph, contains 39 Jewels & has an approximate power reserve of 55 hours. Fitted with a flat balance-spring in silicon & a Swiss straight-line escapement in silicon.